Only a professional jeweler can distinguish, whether it's a synthetic or a mined diamond. The growing fakes and consumer's mistrust has been adversely affecting the diamond industry. In order to prevent unethically sourced diamonds and gems from entering the market, the diamond industry is struggling and planning to come up with some solution to end the pertaining problem. Well, leveraging the blockchain - the technology used in Bitcoin, numerous jewelry industry giants are also looking to create blockchains to verify gems. Let’s understand blockchain technology in brief! The blockchain refers to a digital ledger - based on the continually reconciled database. The economic transactions are programmed to record financial transaction calculating the virtual worthiness. It allows distribution of digital information without breaking its authenticity, which means, no information can be copied. In other terms, we blockchain can be defined as the shared database of transactions maintained by a network of computers on the internet. This technology was applied with bitcoin to maintain the security and the trust factor of the user’s. However, the new blockchain technology solves the authenticity related issues. Wondering How This New Technology Works? Well, simply pointing the smartphone with the relevant app, the buyers can get every detailed information about any gemstone. This is the reason that world's major jewelry and gems businesses are in a race to deploy a blockchain electronic ledgers. Offering an innovative tool to verify the authenticity of the products, this technology provides a pre-defined and enhanced global provenance making the diamond and supply chain of the jewelry easy. According to Leanne Kemp, CEO and founder of Everledger Ltd- a London-based firm (uses blockchain to channelize a shared digital global ledger to track and protect valuable items), states how document tampering, is carried where one stone has been claimed across similar timelines with multiple insurers. And using this, the supply chain network established, ensured diamond’s register and track diamonds. Taking machine vision into account, they record 40 metadata points to create a unique thumbprint of each stone, which is a forensic view. Around 1.6 million diamonds reside on that blockchain. And this technology proves helpful to verify the authenticity, provenance, and custody of diamonds. 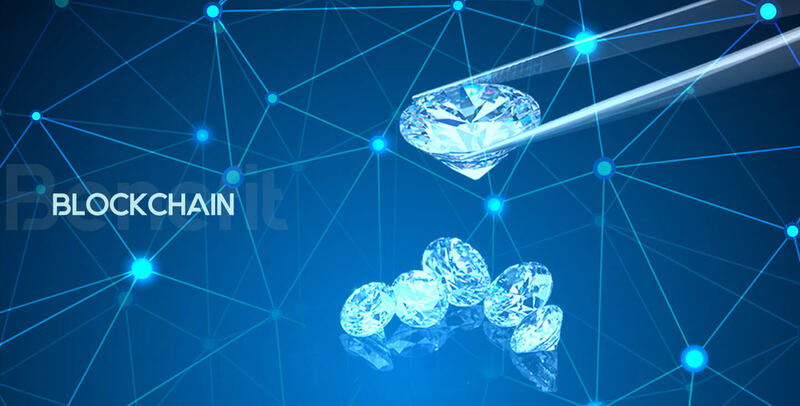 The new TrustChain Initiative also uses IBM’s blockchain cloud service to enable jewelry buyers to verify the providence of gold and diamond products (including - necklaces, bracelets, and rings by accessing). Working is still in progress and endeavors are made to determine the process that will help to verify the provenance of the jewelry. De Beers- (owing 35% of the world’s diamond production) announced an industry-wide blockchain network launch - the technology to track diamonds. Apart from diamond's authenticity verification, the De Beers blockchain network is designed to find out whether the gems are mined in war-torn areas where the sale of the gems could be used to finance violence. In 2016, the estimated blockchain distributed ledger market was approx US$228 million, and further expected to hit $5.4 billion by the year 2023 at the global market. As per the report from Allied Market Research, the growth is measured at an annual growth rate of 57.6% over the next five years. This allows also structuring of Private or "permission" blockchains. Depending upon the trusted partners and centrally administered authority, retaining control to information on the network access can be built. Further, the Blockchain App Development can be used between business partners, such as a cloud vendor, a financial services provider and its clients or between jewelers and their supplies to maintain the balance. This application, suggested for securing the spectrum sharing for wireless networks, is expected to benefit other industry vertical. Followed by Blockchain technology, innovative distribution processes are further available in insurance industry such as peer-to-peer insurance, parametric insurance, and microinsurance. Moreover, the sharing economy and IoT can also profit from blockchains, as the fact that they include many co-operating companions.